What age groups does the studio teach? Students as young as 3 years old may begin lessons on some instruments. Each teacher has a recommended age for the instrument he or she teaches. Students are never too old to begin lessons. We offer private in-home lessons in the Boston Metrowest. Our teachers travel to homes in Boston, Cambridge, Arlington, Newton and other points west, including Sudbury, Concord, Lincoln, Weston, Wellesley, Lexington, Wayland, Natick, Framingham, and Acton. What type of lessons are offered? Note-worthy Experiences offers lessons in Piano, Organ, Harp, Cello, Violin, Viola, Bass, Guitar, Ukulele, Flute, Piccolo, Clarinet, Saxophone, Bassoon, Oboe, French Horn, Trumpet, Cornet, Trombone, Baritone, Susaphone, Tuba, Percussion, Voice, Theory, and Chamber Ensembles. All of our students are taught note reading, sight reading, ear training, and basic theory. What musical styles are taught? ​Music styles taught range from classical and baroque to jazz, rock, and contemporary. What languages are lessons taught in? All of our teachers teach in English and some of our teachers also offer lessons in other languages including Spanish, Mandarin Chinese and Taiwan Mandarin. What type of certifications and programs are offered? Note-worthy Experiences is proud to offer the Royal Conservatory of Music Program, ABRSM, and National Piano Guild auditions. Students must have a working, tuned instrument and a music stand. Information on instrument purchases and rentals, including pianos, can be found at this link. Which lesson books are used? Teachers will have individualized book recommendations for each student. The books are often available for purchase directly from the studio. Which teacher will I have? Every effort is made to match students with a teacher who can accommodate the student's schedule, musical goals, and individual learning style. Students will be assigned homework each week and are expected to practice throughout the week. What are the opportunities to perform? 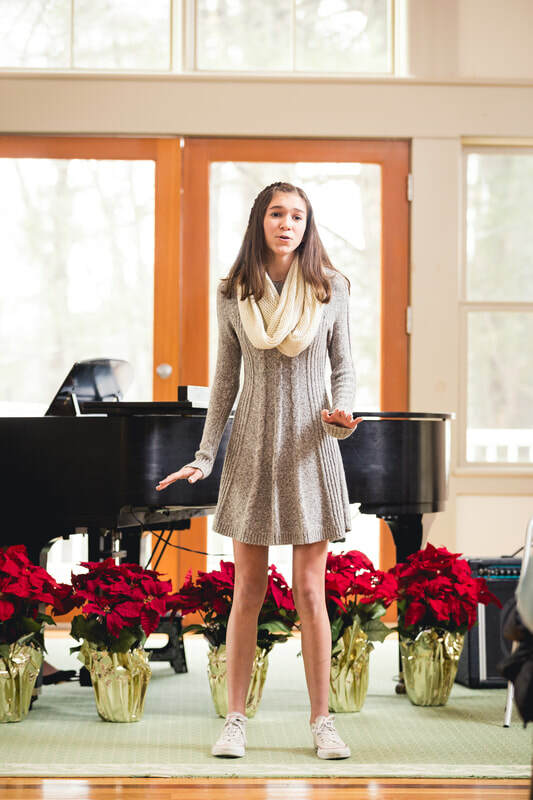 Recitals, nursing home performances, group classes, social events, and competitions are offered throughout the year and are optional for students to participate in. 24 hours' notice is required for any lesson cancellations. Lessons canceled within 24 hours are nonrefundable and will not be credited. Students may opt to reschedule or take a lesson via Skype or FaceTime. Tuition rates vary between teachers and depend on the length of the weekly lesson. Tuition is due the 1st of the month for all lessons scheduled in that month. Tuition may be paid by check payable to Note-worthy Experiences Music Studio or online through your financial institution, Venmo, or Zelle. Please see the Tuition and Payment page for more information. Can I get a referral credit? If you currently take lessons with the studio and refer someone to us, you will receive a $25 tuition credit to your account.